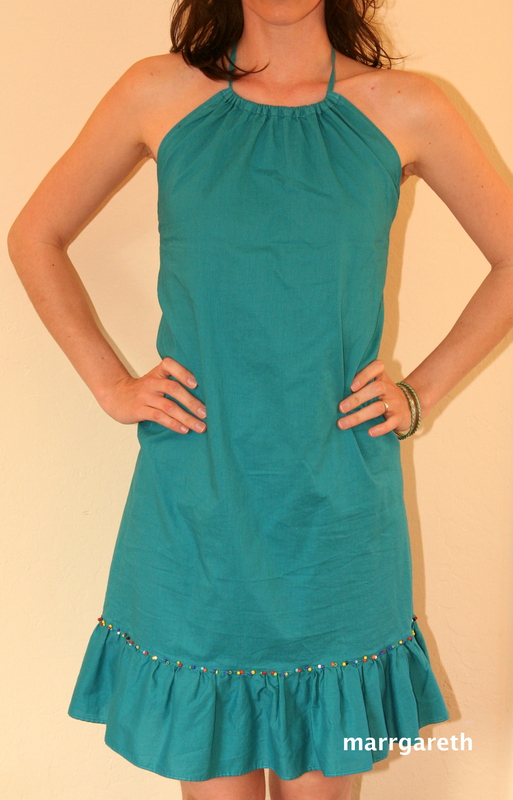 This is another dress that I made for this summer. This dress is my design. The fabric is fine cotton. The back of the dress is open. Dress has two straps which I tied at the nape of the neck. 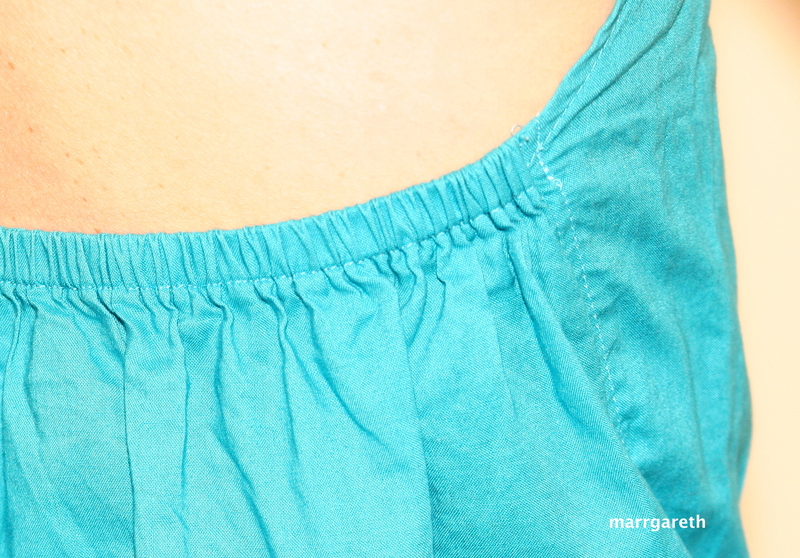 The top edge of the dress’ back has elastic, which improves fitting. 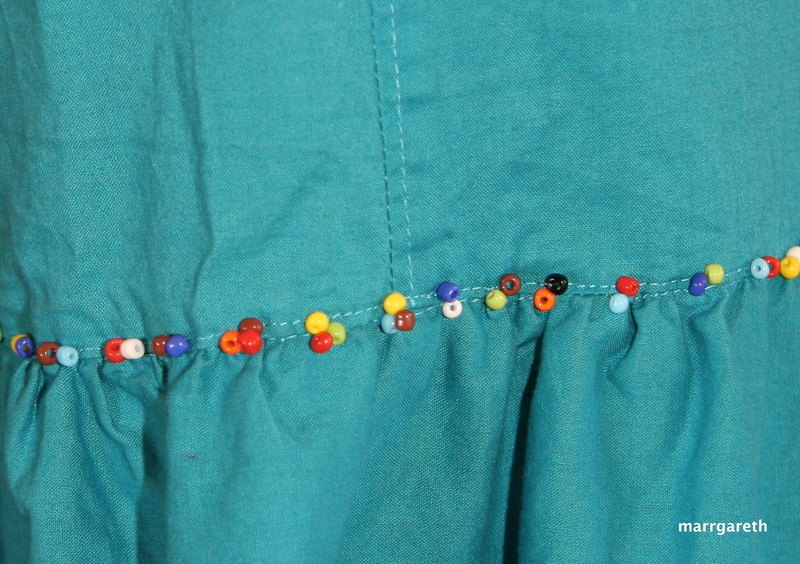 The bottom of the dress has frill with glass beads. I used transparent thread to sew those beads so you can’t see the thread. The top edge of the front has a tunnel so the strap is going through the tunnel. I think this dress is perfect for very hot days. What do you think? wow! this is so cute. It’s already summer here in the Philippines and this would be perfect. I was in the Philippines last September, it was very hot over there. I also think this dress will be perfect. The drawstring style neck is really cute! So cute! And it looks really comfortable, too! I really like your dress, it looks cute and comfy. Beautiful dress! I love the design, color and fabric. Love the dress! That was a nice touch with the added bead work 🙂 very pretty. I like the beads too. I love the added touch of color in the beading! I am sure you will have lots of fun. Crossing my fingers.